This class is for those of you who have taken Terri's Pieced Tuffet class and want to complete another tuffet. She will have kits available and help you upholster your tuffet into your own custom piece of furniture. In this class you will build your Finishing kit, dress your Tuffet (my favorite part), complete your button, and bottom. 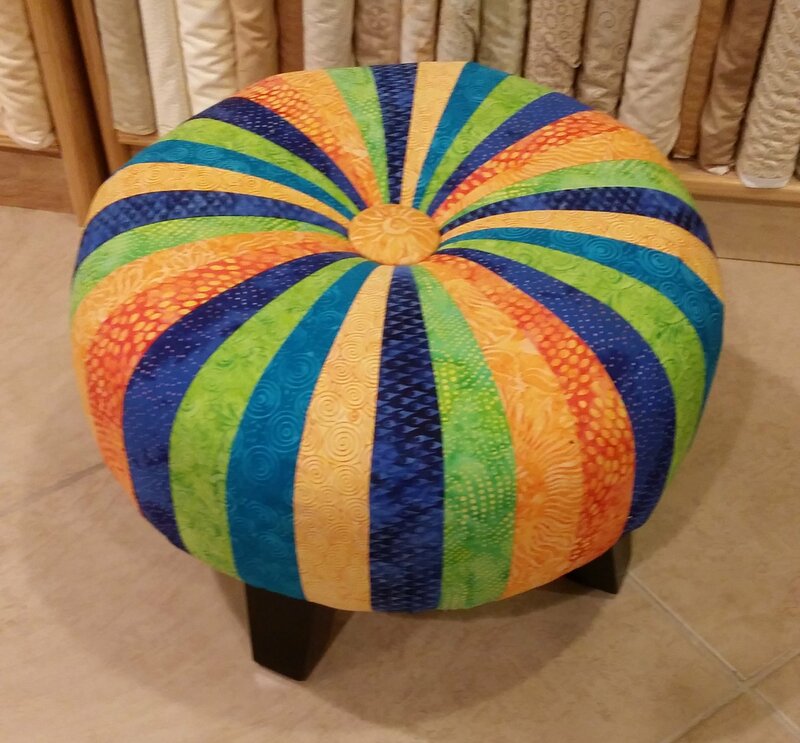 Add your feet and you have made a Tuffet! During this class you will have use of upholstery equipment to complete one tuffet. Space is limited to 8 students.